As the Harvest Moon rises over the mountains we give a happy sigh that the harvest is in. We look back on the other moons that brought the garden in—the Lenten Moon of March when we planted potatoes, and the Planting Moon of May when we saw most of the garden safely planted. 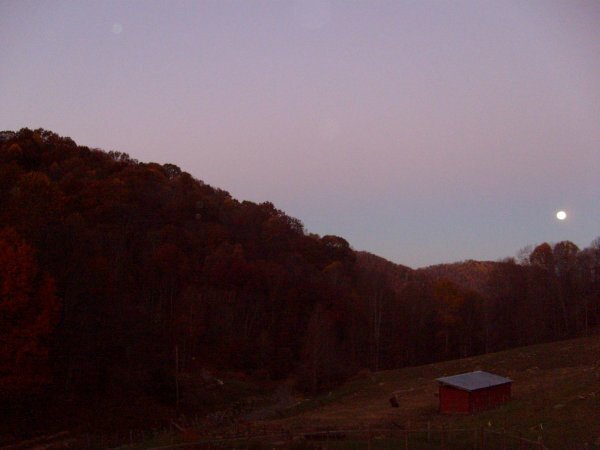 Ahead of us is November’s Frost Moon that will let us know that winter’s on the way.